Octopath Traveler composer Yasunori Nishiki has returned with another written piece about the creation of his music. This week, we have details about the process of making “The Frostlands” background music. “This is the overworld theme for the beautiful, snow-swept Frostlands, which also happens to be the starting region for Ophilia’s journey. 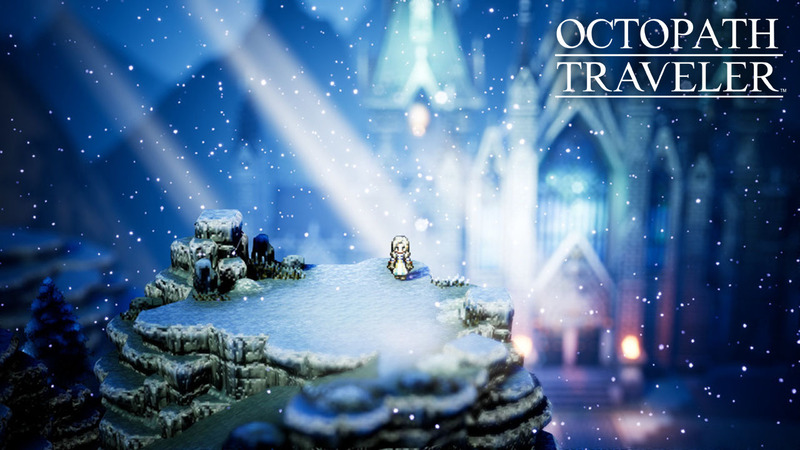 The music for Octopath Traveler features primarily acoustic sounds, but the Frostlands theme begins with a synth arpeggio. I was constantly looking at these reference videos while composing the overworld themes, so I think the structure of the songs really follows after the visuals. To keep with our goal of creating songs with catchy melodies and gorgeous instrumentation that matches with the graphics, I took quite a bit of care in creating the soundscape here. I feel like listeners might feel that something’s missing if they listen to this song alone. But the visuals and the ambient sound effects work perfectly to fill in those gaps, in the end creating the perfect balance, and in that sense, I feel like I created a song that players won’t get tired of listening to.